When Crab finds a new shell, he doesn’t want to share it with anyone – especially not a blobby purple anemone and a tickly bristleworm. But life in the rock pool proves tougher than Crab thinks and he soon finds he needs his new housemates. 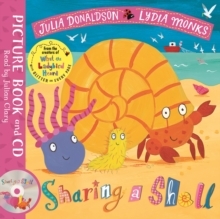 Sharing a Shell is a charming underwater tale of friendship and fun from the stellar picture book partnership of Julia Donaldson and Lydia Monks, creators of What the Ladybird Heard. 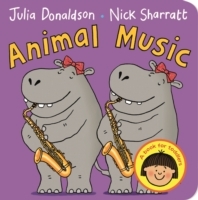 With brilliant rhythmic verse, bright and distinctive illustrations and glitter on every page, this is a firm favourite with children and parents alike. 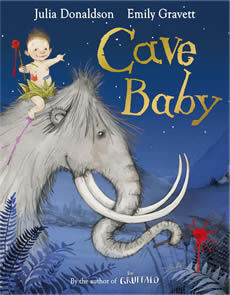 This paperback and CD edition features a charming reading of the story by Julian Clary. Enjoy all the stories from Julia Donaldson and Lydia Monks: Sharing a Shell, The Princess and the Wizard, The Rhyming Rabbit, The Singing Mermaid, Sugarlump and the Unicorn, Princess Mirror-Belle and the Dragon Pox, What the Ladybird Heard, What the Ladybird Heard Next and What the Ladybird Heard on Holiday.